Using the same bright-hued Auroloide material as the now sold-out 88 Sole Limited Edition, the new Aurora Optima O' Sole Mio fountain pen showcases Italian pen design at its finest. 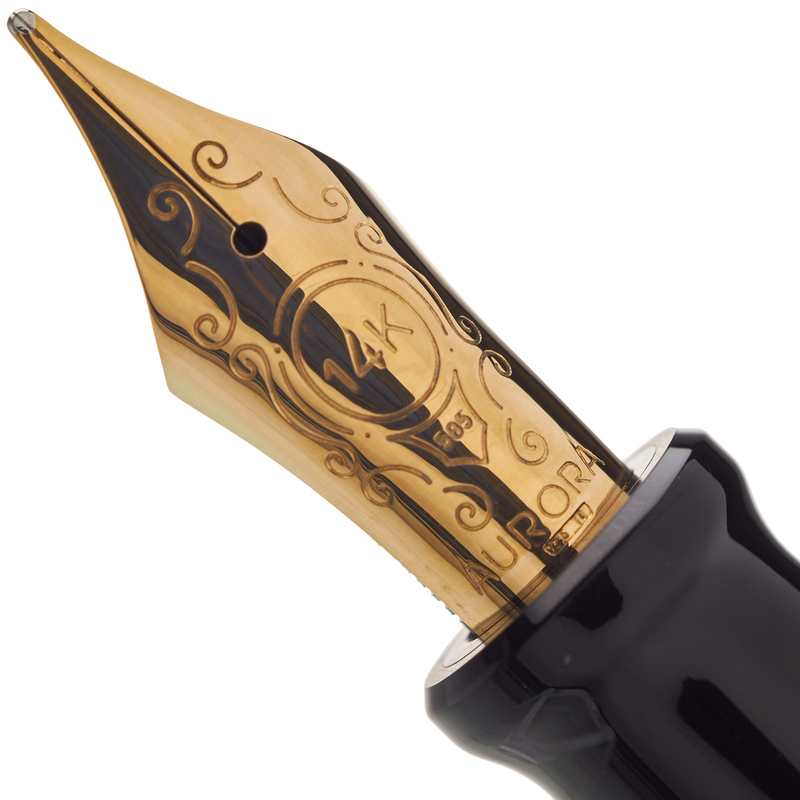 We are able to provide it with your choice of Aurora 14k solid gold nib. Our complimentary nib tuning services ensure that your pen will have writing qualities equal to its appearance, and our optional nib customizations can additional character to your writing on the page. 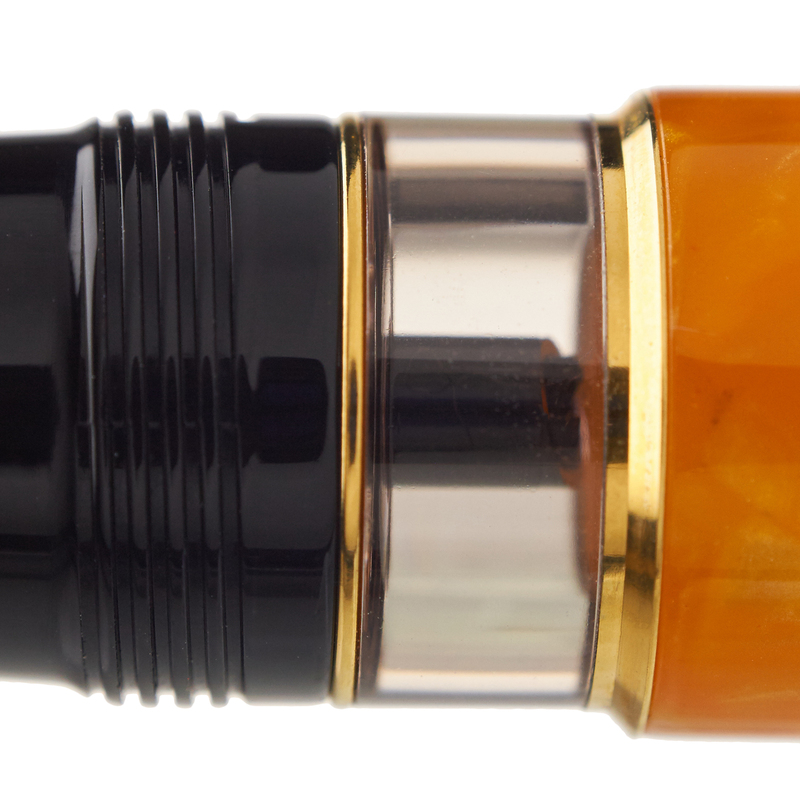 Auroloide is Aurora's unique cellulose acetate derivative, which provides the distinctive appearance and unique patterns of a celluloid body pen, but with added stability and durability. 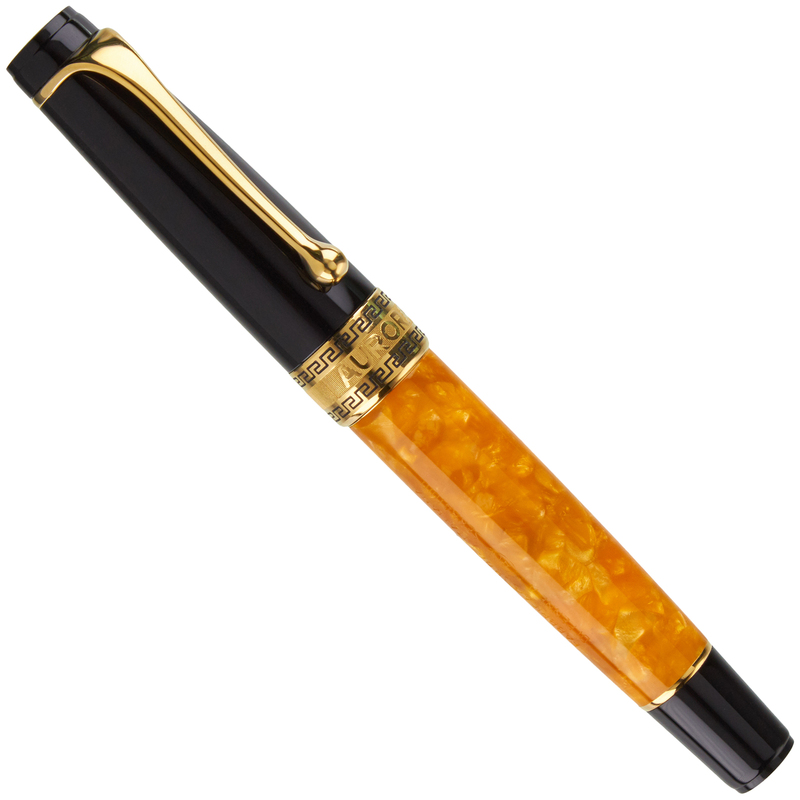 The bright orange used in the O' Sole Mio makes this a writing instrument evocative of Mediterranean summers and lush golden sunsets. 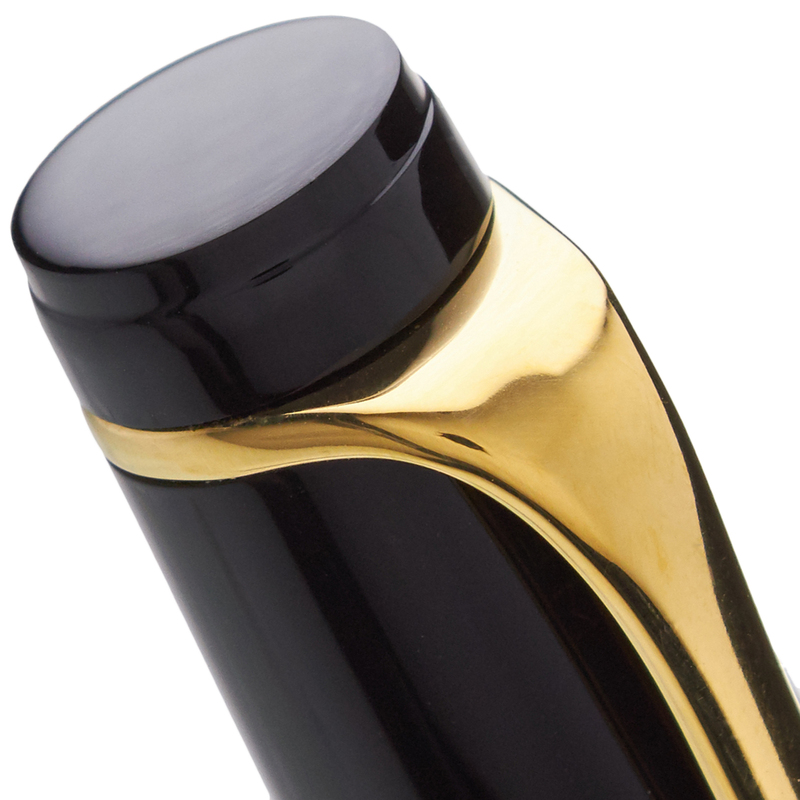 The O' Sole Mio uses Aurora's reliable piston-fill system, which provides a generous capacity and allows for the use of any bottled fountain pen ink. 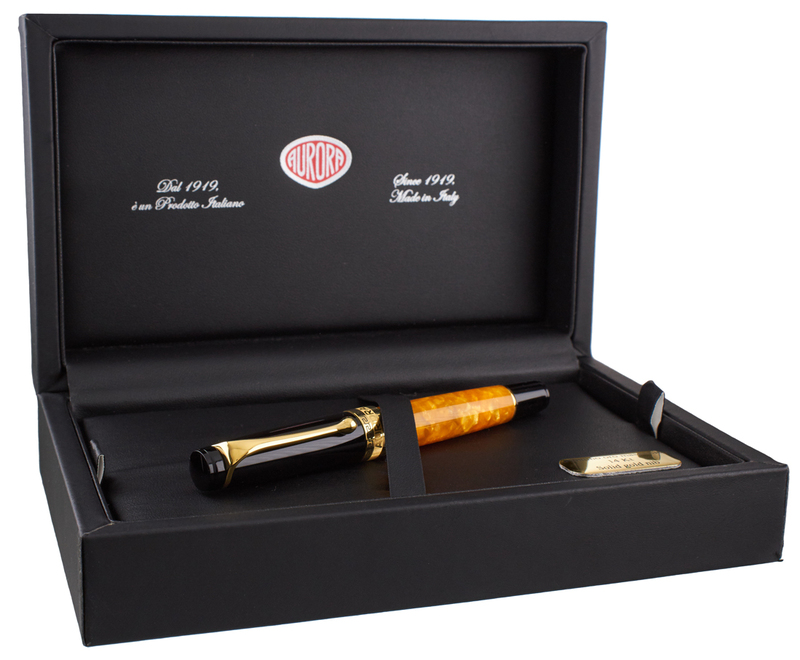 An attractive presentation box is also included, making this an excellent gift item.